Always wanted to write a romance novel? 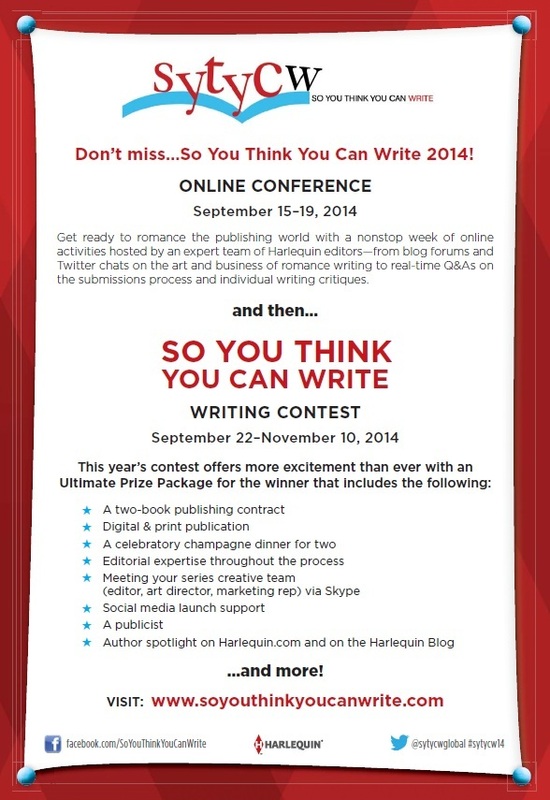 Great contest opportunity from Harlequin. Always wanted to write a romance novel? Well here is your chance. With this amazing contest from Harlequin you now have the opportunity, along with the ultimate author’s publishing prize up for grabs. Check out the information below and then go to the so you think you can write website to join up. You can see the itinerary for the Harlequin boot-camp, online conference, events here. Rules and regulations for the contest can be found here. Ready to take up the gauntlet? Then click on the image below to join up now. Good luck!